While there are lots of things that go into making a partnership successful, there is probably one element that is more important than others – ensuring that the benefits you offer a sponsor are done so in a way that will help them meet their marketing objectives. We all know that sponsorship is really just one element of a brand’s marketing and that brands will cut marketing that isn’t delivering results. That makes sense. Yet, the industry, by and large, still struggles somewhat in ensuring that partnerships kick off on a strong foundation in the sense that the benefits being delivered are the right ones. 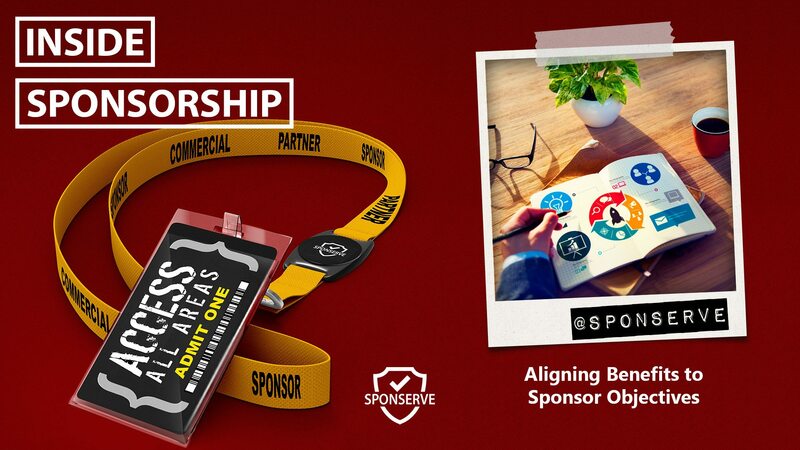 That’s why we developed a step-by-step guide to help you uncover a potential sponsor’s objectives, position suitable benefits, achieve buy-in and ownership from the sponsor and then set agreed goals around the partnership’s objectives. That’s what this episode is all about. You’ll walk through, in detail, the steps on how to do all of that. Further, if you follow the advice in the guide, the end result will change your success rate in signing sponsors but also that they will be much more beneficial and long-term relationships. You can download the eBook Aligning Benefits to Sponsor Objectives here. Also, in this episode, Mark Thompson, our MD, joins us to talk about something that he is a massive advocate of – storytelling and how important it is within sponsorship.